Whenever we level off the rounded tops of our chocolate cakes or have leftovers, we never waste what we have. We just transform them into truffles! Cake truffles sound much more elegant than cake balls. Put them on a stick and they become cake pops—perfectly playful! Place them in chocolate brown paper candy cups and they become truffles—sweetly sophisticated! For this particular post, we made them with a marshmallow center, topped them with toasted walnuts and drizzled white chocolate as a color contrast for a Rocky Road flavor. 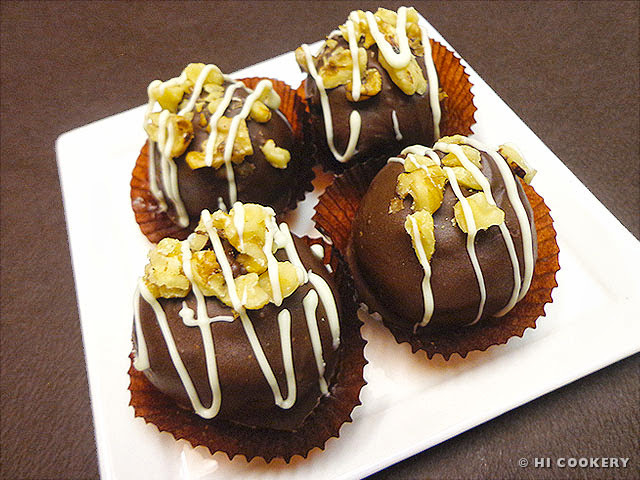 Enjoy an elegant treat and try these truffles (cake balls or cake pops) for National Rocky Road Day. In a large bowl, crumble the cake into fine crumbs. Add half a cup of frosting a little at a time until the crumbs stick together (use more or less frosting, depending on how much cake is left over). Roll and flatten the “dough” and place a mini marshmallow in the center. Make into balls no bigger than 1 ½ inches round. Freeze till firm. Melt the chocolate over a double boiler. Stick a skewer or lollipop stick on one end of the cake ball. Work quickly to coat it evenly in the melted chocolate. Place on a cold tray covered with waxed paper, smoothing chocolate over the hole made by the skewer or lollipop stick. Sprinkle the nuts on top before the chocolate sets. 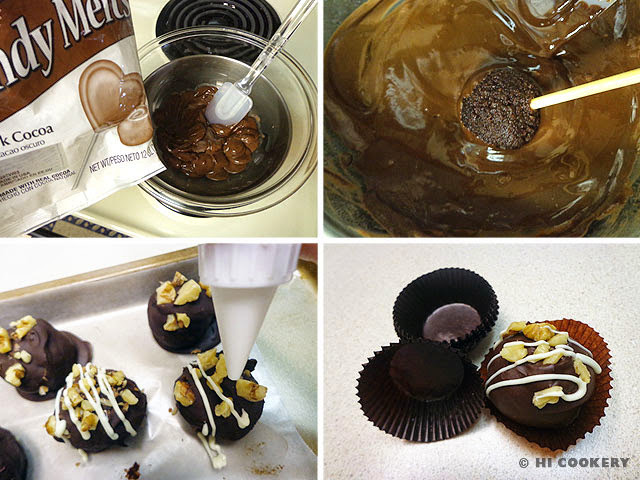 Continue dipping each cake ball into the chocolate and sprinkling nuts. Refrigerate until the chocolate shell has hardened. Drizzle white chocolate over the truffles. Refrigerate until the white chocolate drizzles have set. Place in individual paper candy cups/mini cupcake liners. Arrange on an elegant platter and serve. 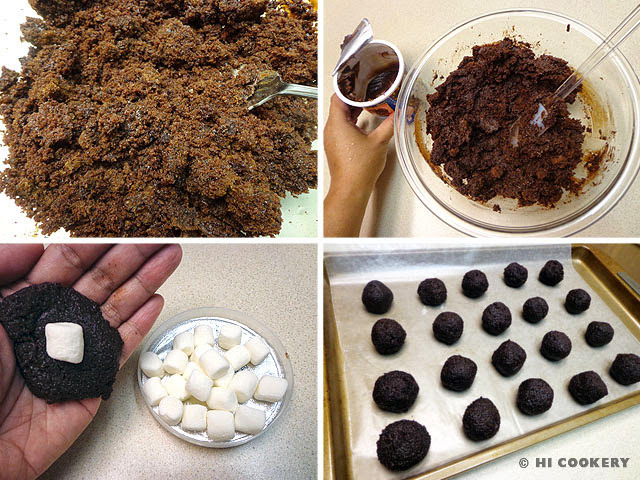 We prefer to use homemade chocolate frosting instead of the one from a can for better flavor. We use the latter if we are pressed for time in preparing Rocky Road cake truffles for a party. Search our blog for chocolate cake and chocolate frosting recipes to make these Rocky Road cake truffles.